Chairman Pakistan Peoples Party Bilawal Bhutto has said that those who eliminated Bhutto will not be able eliminate “Bhuttoism”. Addressing in Larkana on the eve of Benazir Bhutto’s 65th birth anniversary, Bilawal said that the Bhutto ideology still exists today but those who attempted to eliminate it are nowhere in sight, adding that the philosophy of Bhutto’s politics was to get the people their right to vote. Chairman PPP said that the Peoples Party gave the country the system of democracy and that the victory of Bhuttoism is the victory of the people. “Our rivals are also behind the weapon of vote. We do not believe in the politics of hate and torture,” he said. 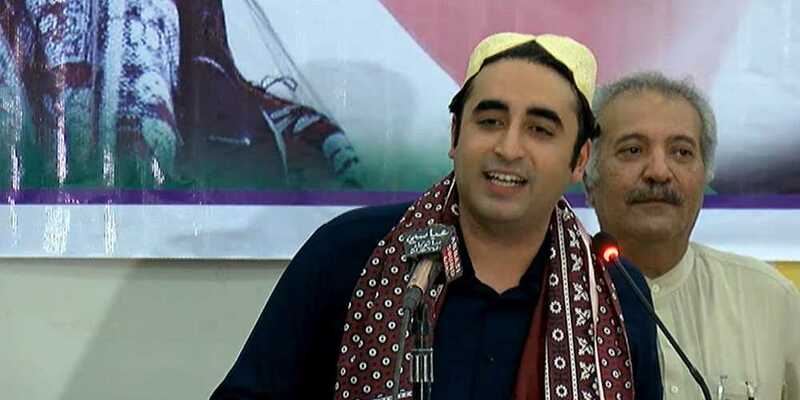 Taking a swipe at the political coalition being formed in Sindh, Bilawal said that ‘political mosquitoes’ are closing ranks against the Peoples Party. He said that the public’s relation with the Peoples Party will never waiver.